Race three of our Obstacle Challenge see’s us getting up at 5.30AM on Sunday 3rd May 2015 for our 3rd race of the year and all three of us cant wait! 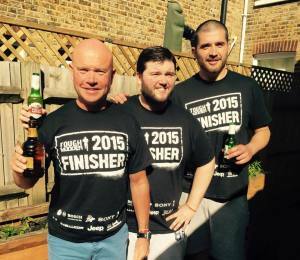 The three being myself, Stumpy AKA Nick Pollard, AKA Dad and Lewis, my best mate and fellow Mudder. We started off by hitting the road at 6.30am as we always want to be there nice and early to get mentally and physically prepared for the race ahead! We got to Tough Mudder at 8 o’clock and soaked up the last bit of warmth from the car. As always, at Tough Mudder the registration and bag drop is effortless and very well organised. We were in and sorted by 8.30 and then took the opportunity to get on the earlier wave time of 9am. Why waste time standing around when you can be jumping over walls and crawling through mud?! During the warm up my Dad had the chance to stand up on the warm up stage and talk to everyone heading off in that wave about Ataxia UK, the charity that we running and raising money for which was brilliant! 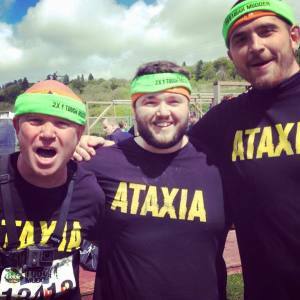 It gave us the chance to spread the word about Ataxia to a few more people which we really appreciated! The obstacles at Tough Mudder are the biggest and the most mental that I’ve taken on so far. The first obstacle of slanted walls to get over are always a good starting point and I think try to ease you in for what’s about to come because from there on out they don’t get much easier! But then again we wouldn’t be there if it was easy would we?! Artic enema was the 2nd or 3rd obstacle and the name says it all really… You are plunged into a container full of ice and water which has a temperature of 0 degrees! This is designed to shock you and my lord me does it do that! Your whole body wants to shut down and freeze up but you can’t because you still have 10 miles to go! We all found the course to be hilly; if anybody reading this did Tough Mudder this past weekend then they will know what I’m talking about. It was the hilliest course I’ve ever taken on and my legs are proof of that as they are still a little sore to this day! King of the swingers was our favourite obstacle by far, a huge swing to try and touch the bell hanging in front of you, you’re probably 20ft of the floor and then plunge into a pool 10ft deep and have to swim out the other side. Tough Mudder always lives up to its name, it really is tough! Everyone has that ‘wall’ in a race or obstacle challenge when you are about to reach that breaking point both mentally and physically. I reached this point not once but many times during Tough Mudder! You have to have that mental grit to keep going and you need to have a team around you, because for me over the last year that has played a crucial role in me reaching my goals and achieving what I have. 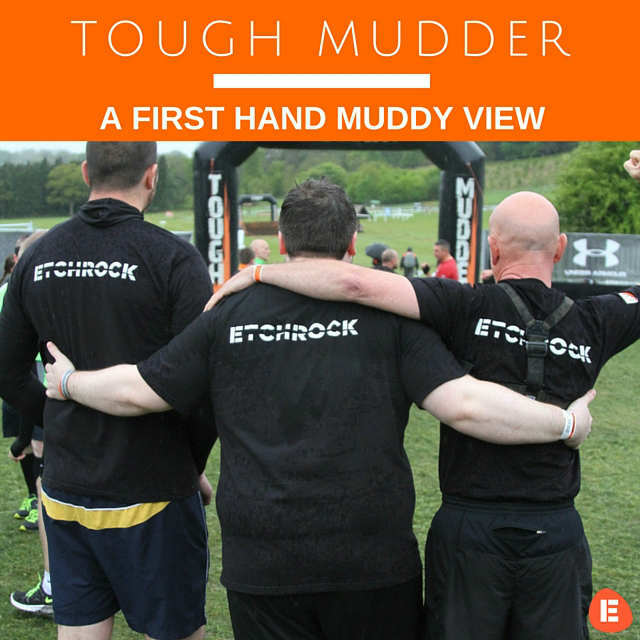 To be a Tough Mudder you need to be a team player and you need to put others before yourself as that ultimately is what being a Tough Mudder is all about! Getting involved to achieve personal goals but also to help other fulfill theirs and most importantly, have fun! 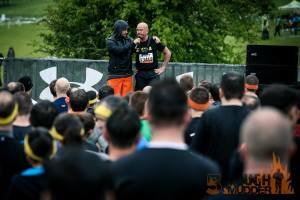 If you are interested in signing up to the next Tough Mudder event, you can do so on their website here: https://toughmudder.co.uk/ They have events throughout the UK running all year so check out their site for more details. Want to ask Ben about his experience? He is competing in as many OCR’s as possible in training for his 100km run in the summer. Reach him on his Twitter or Facebook if you have any questions for him, he always happy to help!